The Realme 2 Pro smartphones will get the ColorOS 5.2 Update starting this week. The update comes with some important improvements. Here are the details. 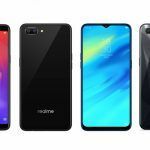 Realme 2 Pro smartphones should be receiving an interesting update this week, confirmed Realme CEO Madhav Sheth. He indicated the devices will be getting a new version of the ColorOS operating system that works atop base Android OS. 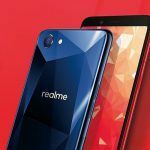 The new ColorOS 5.2 update would reach Realme 2 Pro smartphones within this week, tweeted Sheth. He also mentioned some of the highlights of the update, including several tweaks to the notification system and camera. The latest update will also include the latest Android Security Patch, which will essentially bring the Realme 2 Pro smartphone in the same line as the Google Pixel devices as far as security patches is concerned. Needless to mention, the tweet received several responses, including quite a few demands and expectations as well. 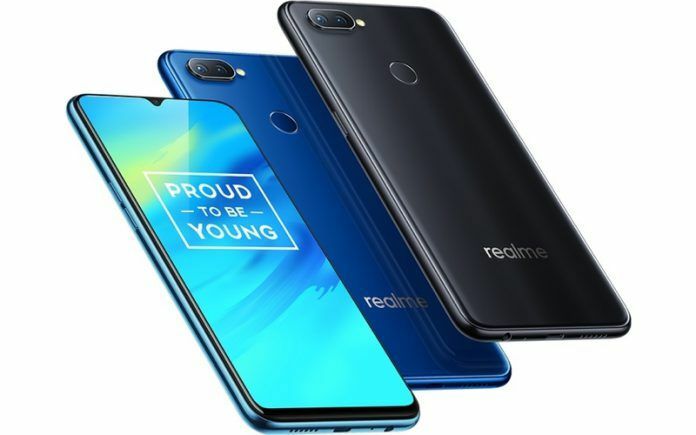 Realme India had recently confirmed that it would be releasing the Android 9 Pie update for the Realme 1, its very first Android smartphone. It even added that other devices under the Realme sub-brand, including the Realme 1, Realme 2, Realme 2 Pro, and Realme C1 smartphones, will receive the ColorOS 5.2 update. Incidentally, the ColorOS 5.2 update is still based on Android 8.1 Oreo. However, the Realme devices will get Android 9 Pie update. Today, the tweet confirms Realme 2 Pro will receive the update a little sooner than expected. Given the context of the announcement, it is clear that Realme has developed a stable release of the update. In other words, it is confidently sending out the ColorOS 5.2 Update to majority of the Realme 2 Pro smartphones, instead of gradually deploying the same. 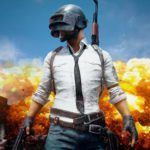 According to the tweet, the latest update has three major areas. The System, Camera and the Safety are the three core areas. In the System segment, the Realme 2 Pro will have significant improvements in the Notification area. Users can now easily dismiss the notifications with a single swipe. The smartphone will now clearly indicate the presence of headphones by displaying the headset icon in the status bar. 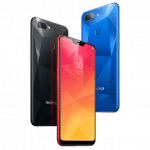 The company has also worked on the reminders the system generates for Realme 2 Pro users who have enabled Developer Options and Accessibility Mode. Interestingly, Realme 2 Pro users will also get to take better quality photos with the front camera. Apparently, several users have regularly grumbled about the rather substandard quality of images from the front camera that surprisingly packs a powerful 16MP sensor with f/2.0 aperture. We would be releasing Android Pie soon for Realme 1 Please stay tuned with us on our social media channels. Thanks! Lastly, the ColorOS 5.2 update includes the latest November 2018 Security Patch. Not many smartphones have received the latest security patch yet. Several Realme 2 Pro users continue to voice their concerns about the seemingly lackluster battery performance of the Realme smartphone. The device packs 3,500mAh battery. Still, users claim their devices drain battery at a concerning rate. Interestingly, the official Realme India Support twitter handle is treating each user complaint individually. This might indicate the battery drain issue may not be a common issue. With Qualcomm Snapdragon 660 SoC, upto 8GB RAM and 128GB onboard storage, the Realme 2 Pro is a capable Android smartphone that offers a great value for money. 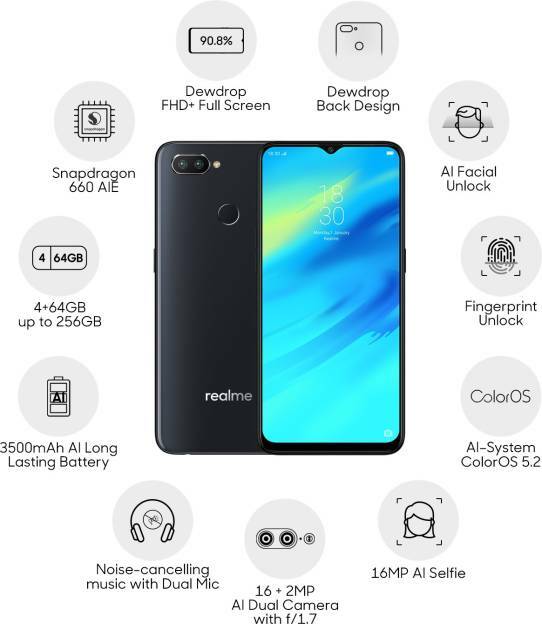 With such updates, Realme is trying to boost the appeal of the popular devices.